Every other day, after Tata Motors, the only other manufacturer to constantly stay in news is the Detroit based Ford Motors. 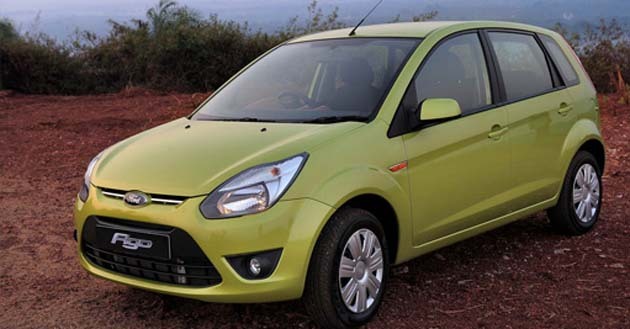 Ford Motors India Limited have tasted big time success with their small, made for India car, the Ford Figo. Now plans are on to make India the global small car hub and to start exporting the Ford Figo to other parts of the world. Ford India have taken a leaf out of its Korean rival, Hyundai Motors and plans to capitalize on the exports to rake in more volumes. The markets where the Figo is likely to be exported are Carribean, North Africa, Mexico and Middle east. Michael Boneham, Ford India’s President and Managing Director recently said that they plan to keep India as the sole production hub for the Figo as of now. As part of a trial, the company is expecting to ship about 1200 units of the Figo to Mexico. After the initial response is gauged, Ford would ship more cars to other parts of the world as well. Currently Ford does ship the Fiesta sedan from India to other countries. Inspite of their “One Ford” strategy which is been adopted from this year, the company says the new 2011 Fiesta would now be produced and exported from India and the Thailand exports would be relegated to oblivion. Michael Boneham further added that the Indian market has been very supportive of the Figo small car and plans are on to slot a smaller car on the same Figo platform. This small car would hit Maruti, Tata and Hyundai below the belt when it comes to the entry level compact car market. It would have features galore plus Ford’s typical traits like ride, handling and responsive engines. Plans are onto launch this car by 2013 during which Ford would have enough time to incorporate newer technologies coming its way.